The Ministry of Education, through the Guyana Education Sector Improvement (GESIP) project, has begun conducting consultation sessions in preparation for the US$6.03 million curriculum reform programme. According to a Ministry of Education (MoE) press release, the Integrated Curriculum Reform project is intended to improve student achievement at nursery, primary, and at lower secondary levels. This will be achieved by implementing a phased revision of the curriculum, defined not only as the content students are expected to learn in each subject and grade level, but also the way in which that content is taught. Emphasis will be placed on interactive, student-centred pedagogies, social inclusion and gender-informed approaches. The ministry is at present conducting a series of consultation sessions across the country as part of efforts to garner feedback and suggestions to aid in this project. 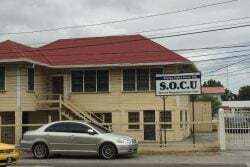 On Monday there were consultations at Anna Regina in Essequibo, and Bush Lot in Berbice, with other sessions planned later this week for Bartica, Mahdia, Kato and Paramakatoi. The curriculum reform programme is intended to bring about continuous improvement in the education system, and will be phased in by subject and level, according to the MoE statement. This will be guided by an overall curriculum framework, as each subject course outline will be revised, including the teaching methods, assessments, and materials to be implemented in pilot schools. According to the MoE release, the pilot schools will represent different regions of Guyana, including schools in the hinterland regions and riverine areas; different levels of student preparation and academic performance; different sizes and mixes of grade levels; and schools with students with disabilities. Additionally, the pilot schools will be randomly assigned from a sampling frame in selected regions to enable an impact evaluation. The ministry intends to draw on the experience of the pilot schools and feedback gathered will inform further revisions before the new subject curriculum is scaled up nationwide.